To celebrate the Bicentennial of American Independence, the U.S. Mint struck quarters, halves and dollars bearing the double date, 1776-1976. 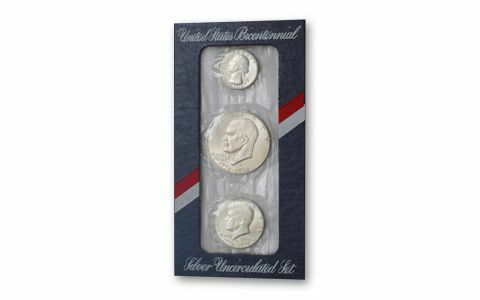 In addition to copper-nickel clad issues minted for circulation, deluxe 40% silver versions of the designs were produced. 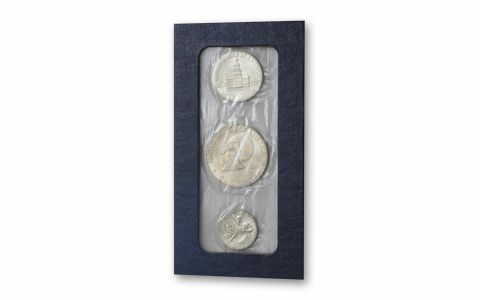 Also, a special 3-piece Mint Set containing these three 40% silver coins was issued. 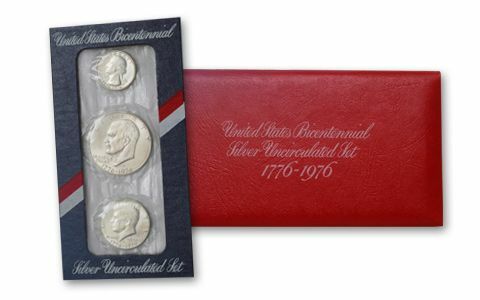 These 3-piece Bicentennial Mint Sets are highly desirable, not only because of the beauty of the silver and the commemorative design, but also because only 2% of all the U.S. 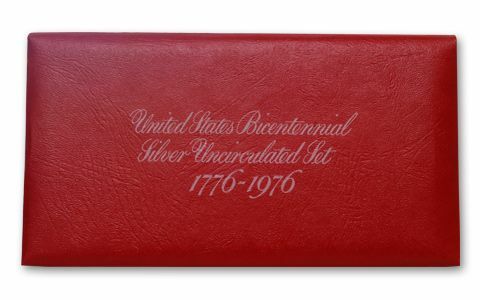 Bicentennial coins were issued in silver. That makes this set even more highly sought-after.